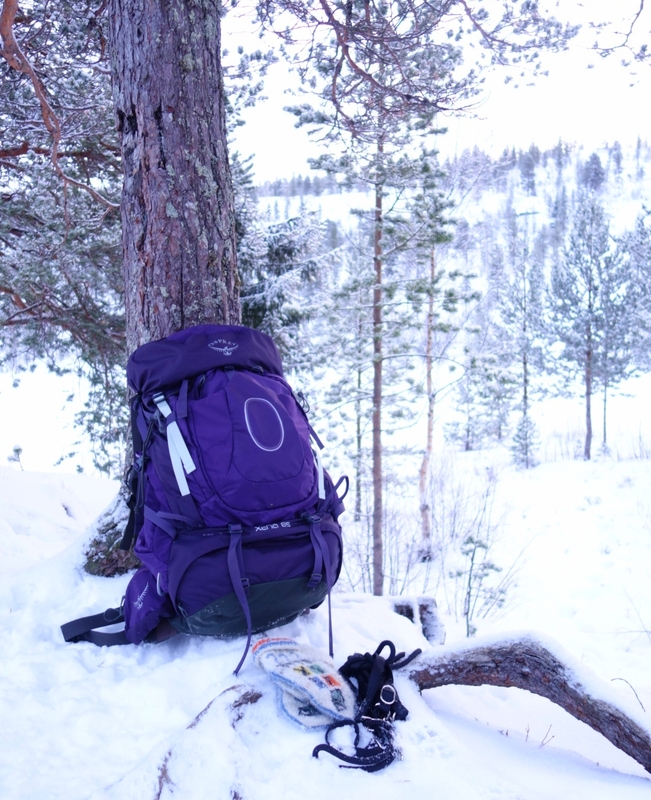 Villmarkshjerte: Review of Osprey Xena 2018! In October, I received a request from Osprey Europe if I could imagine testing their new Xena pack. Usually, I do not accept such requests, but finding a good pack is a challenge, so I thought; Why not? Two years ago I bought the previous version of this pack. The choice then fell on Osprey Xena after trying many other brands. 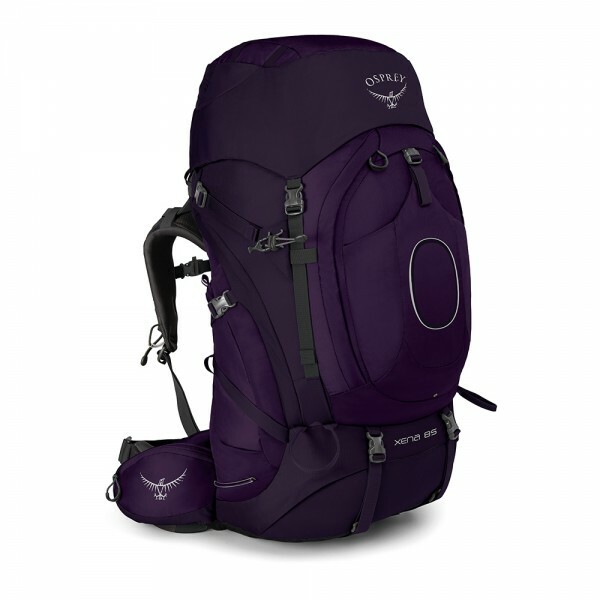 The 2018 version of Osprey Xena 85 comes in two colors; dark green and dark purple. I received it in purple. Here is a link to Osprey Europe's description of the pack. The first thing I noticed was that the side pockets and the pocket in the front of the pack was of nylon fabric, instead of the mesh fabric that is on my old one. It's good, because the mesh fabric does not keep the water out, so everything in these pockets got wet. That's not a problem on the 2018 model. The adjustment of the support system, so that it fits my back was very easy. I can tell you right away; When I put on the pack, it feels like it's made for my back. Even if it is heavily packed. The pack itself weighs only 2.25 kg, even though it holds 85 liters. In other words, it is almost light as a feather. 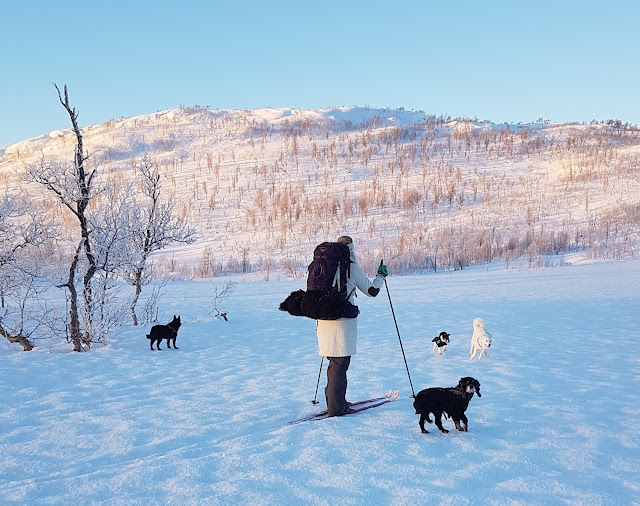 "This was removed from the new Xena as it wasn’t used by many and added to the weight of the pack, so Osprey felt it was more important to invest in a better backsystem which everyone will benefit from." I was probably among the few who thought it was nice to have a waistpack, but after using the pack for a while, they have my full understanding, the carring system has become sovereign! div class="separator" style="clear: both; text-align: center;"> Since it is possible to remove the lid, it is possible to use it as a small bag just by tapping a knot on the straps and wrap it over the shoulder. Great! To my great pleasure, like when I took off the lid, the new XENA has a lid underneath it. This makes the bag a full-bodied, tight bag, even if the lid is removed. That's not the way it's old. This makes this a nice-nice bag to use as a day trip sack as well. The large 85 liter bag can simply be made small! I have had the bag very heavily packed on several trips. Even when it is packed for hikes with tent and all necessary equipment, there are no space problems. Zips in the sides and the bottom, as well as opening at the top, make everything in the big room easy to get hold of without having to take it all out. I have also tried to pack the bag "wrong". I have had lots of firewood in the bag (you have to make a bonfire), and put heavy and light objects a little here and there. It has a lot to say for wear comfort how the pack is packed, so packing it "wrong" is the ultimate test. I'm not saying I did not notice it was packed "wrong", but it did not resolve in a bad back, shoulders or neck. When I've packed it properly, I almost did not notice that I had it on my back, even with heavy loads. It is a very important on long trips. On the hip belt there are pockets on both sides. These I have been very fond of, for the quick access to, for example. camera and mobile phone. The 2018 model has a superb upgrade of these; The mesh fabric has been replaced with a rain-repellent fabric, so now I do not pack everything in watertight bags before I put objekts in the pockets. It usually annoy me over long laces and cords hanging around my packs. It seems like Osprey has thought about this, because the new XENA has no laces that just hang around (improvement from 2016). Inside the bag it is possible to divide it so that there are 2 rooms, it is the "sleeping bag room" at the bottom of the bag, which is then can be divided from the big room. Even I think it is sovereign that it is possible to open so that the bag is just a big room. The bag is ready for drinking system (optional). I have to admit I do not use it. I tried with a drinking system on an old sack, but it was just unnessesary to carry a lot of water, because there are more than enough rivers, streams and mountain water, where I'm usually hikes. There are many straps for ice-creeks, wanderstiks and such things on the bag. Even though I do not need these for what they are designed for, they are great to hang other things in. Dog leaces, for example. 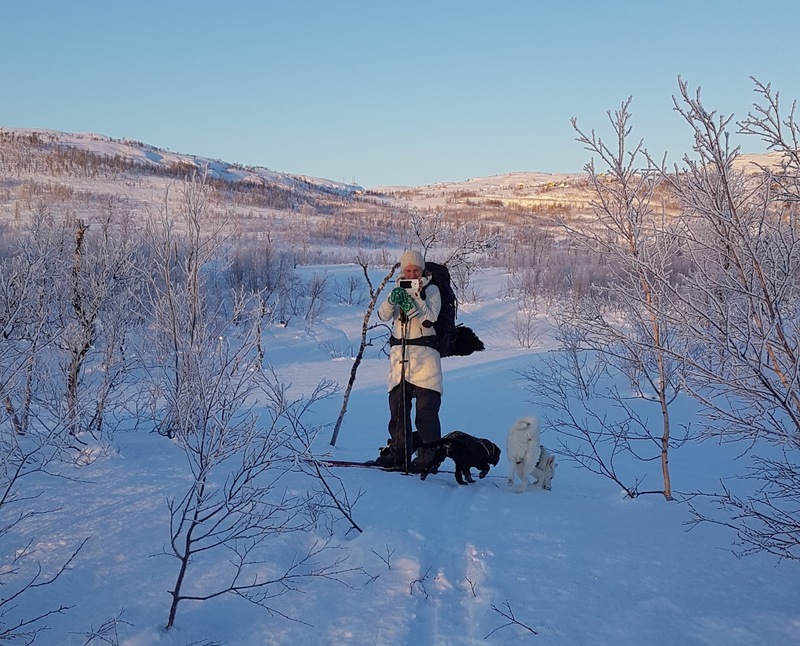 I must also highlight something that is very important; The straps that can be attached to the tent (or the reindeerskin) are actually so long that you can attach it without having to use other litters or ropes. I realy appreciate that. Another thing that is very nice with Xena is that there are big grips on the zippers, so I do not need to remove my mittens to open the bag. that's great when it's cold. What I have yet to test, is how much water the bag can withstand before the contents get wet. I guess the spring and summer will answer that question. There is no doubt that the new Xena will be my first choice on both short and long hikes in the future. I have not found anything bad or annoying with it when I've have used it in the two months I've tested it. The possibility of using the lid as a waistpack is gone, I'm probably going to miss, but that the pockets have got nylon fabric instead of mesh fabric and that the carrying system is incredibly good, yes, it's weighs up a lot. As all hikers know, having a good pack is of big importance to the comfort of the hike. 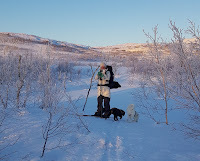 When the pack hardly can be felt on the back, although heavily loaded, it makes the hike a better experience. Osprey Xena 85, 2018 model, is a pack for a for a good hike experience! If you are one of those who must have a new pack this year, I recomend you go to one of the stores that sells Osprey Xena (or the male model; Xenith). You might be as impressed as I am.